Welcome to my final part of looking back at Cinemaware, one of the best game developers of the 80’s and early 90’s. As I have covered the main and most important games in part I and part II, I thought I would cover the Cinemaware sports titles here as well as an adventure game they published, but did not develop. 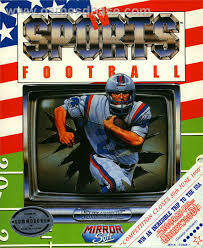 Cinemaware also had a small series of sports titles using the: TV Sports prefix. Not really too much to talk about here, they are sports games. They played well enough and had nice Cinemaware touches as they were presented in a TV style allowing for that cinematic (but now small screen) feel that Cinemaware were famous for. 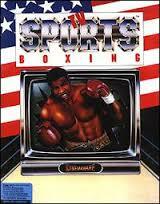 With TV Sports Boxing being the final game released by classic Cinemaware in 1991 before they closed their doors. Cinemaware also published an action/adventure style game. The Kristal: Released in 1989 only published by Cinemaware and developed by Fissionchip Software. 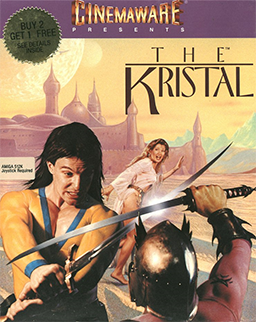 The Kristal was a mix of point n’ click adventure, flight/combat and fighting. The game is based on a previously unreleased play called: The Kristal of Konos, written in 1976. The authors of the play even worked alongside the game developers. With you playing as a pirate named Dancis Frake (get it? ), on a mission to recover the “Kristal” on behalf of the King of Meltoca. Not too much to say about this one as it was not really a Cinemaware game…and it shows. It was a below average adventure game at best with some pretty poor combat thrown in. 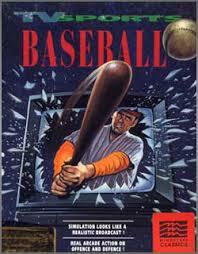 But as it was released during the classic Cinemaware era, I thought I’d include it anyway. That wraps up all the games released by Cinemaware 1985 – 1991. Personally, I really miss the original Cinemaware and think gaming needs them back. They really were the pioneers of cinematic gaming melding great gameplay with cinema style stories, visuals and audio. We have similar games today with titles like Mass Effect and even choices in games like Telltale Games: The Walking Dead…but they are still not what Cinemaware were offering us. I’d love to see what they could do now with modern technology if they made such amazing and diverse games back then. Plus I REALLY want an; It Came From The Desert remake. Gaming keeps getting more and more cinematic as they age and I think they all owe something to Cinemaware and the standards they set in the mid 80’s. Thanks for joining me on this memory trip to one of my all time favourite developers. 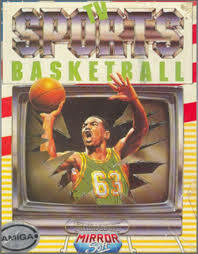 This entry was posted in LBoG: Retrospectives and tagged Cinemaware, Commodore Amiga, Game retrospectives, Little bits of gaming, retro gaming, Retro gaming blog, The Kristal, TV Sports: Baseball, TV Sports: Basketball, TV Sports: Boxing, TV Sports: Football on 08/05/2015 by Steve Perrin.